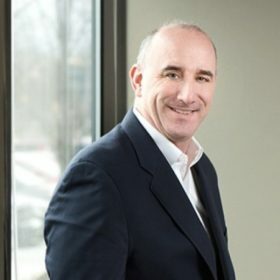 Jeff Barry is a partner with Plymouth Growth Partners, the manager for Plymouth funds II, III, and IV, growth capital funds that invest in early expansion and growth stage technology companies. His duties include sourcing, evaluating and negotiating deals; as well as monitoring and adding value to the current portfolio. Jeff is currently the deal lead and sits on the boards of Kinney Group (Indianapolis, IN), ClearObject (Indianapolis, IN), and InContext Solutions (Chicago, IL). Prior to his work with Plymouth, Jeff was a Senior Economist at the Overseas Private Investment Corporation (OPIC) in Washington, DC where he was responsible for evaluating financing proposals from small- and medium-sized businesses, as well as Fortune 500 companies, and determining suitability of the transaction. OPIC functions as a commercial bank, financing high-risk private investment in emerging markets. Jeff also managed the downstream monitoring of OPIC investments. Jeff began his career as an International Finance Consultant, spending ten years with Coopers & Lybrand/PricewaterhouseCoopers and Stone & Webster Management Consultants, where he managed and actively participated in projects involving asset sales and sell-side privatization transactions in Latin American, Africa, and Asia, in sectors ranging from coffee farms to electricity generation to cellular telephony. These engagements typically included financial analysis and modeling, organizational restructuring, change management, modernization of financial management and operating systems, debt restructuring, development and sourcing of financing requirements, development of marketing materials and presentations for eventual sale of the entities, and term negotiations. Jeff holds an MBA in Finance from Vanderbilt University and a BA from Trinity College in Economics and Spanish. He is a mentor for growth stage companies at Endeavor Detroit.